Our fully refurbished self-catering studio apartment is perfect for couples. 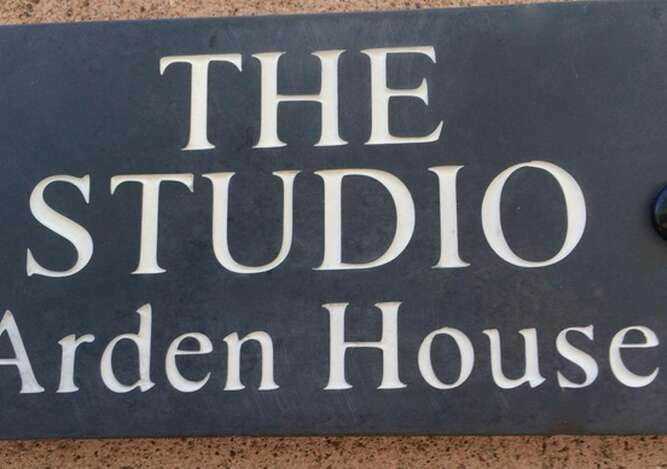 The Studio is cosy and well equipped and is nestled to the rear of Arden House with views over the lower Bracklinn Woods to the north and over our putting green and Ancaster Park to the east. 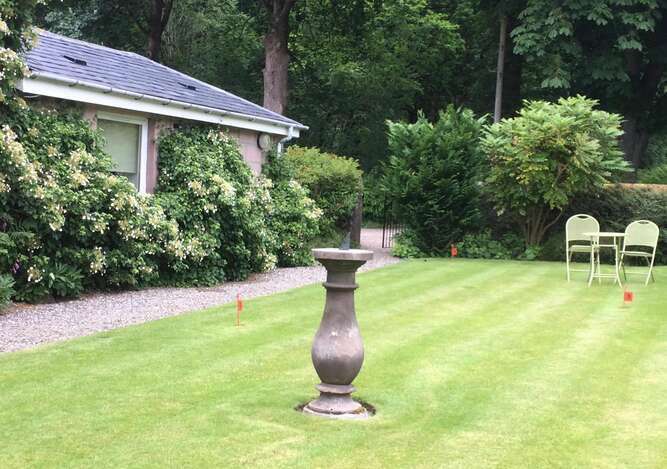 Enjoy the many walks from your doorstep to the Bracklinn Falls, the Callander Crags, Lower Woodland walk or stroll down to the village with its shops, restaurants and bars. Alternatively, relax and enjoy watching the roe deer, red squirrels and pheasants which frequently visit. 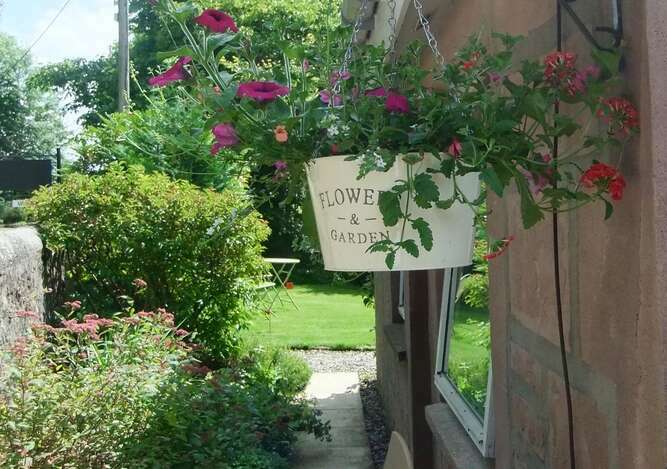 There are many extra little touches to enhance your stay at Arden House, including a welcome tray with tea, coffee and home baking on arrival. Private entrance to spacious lounge with sleeping area (king size bed). 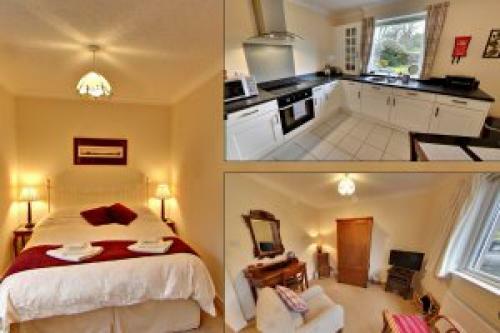 Beautifully furnished;comfy seating;flat screen TV with integrated Freeview and DVD player. 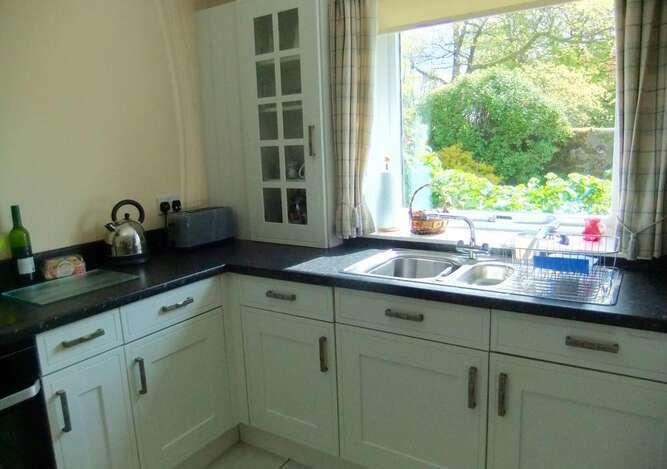 Large separate fully equipped kitchen with dining table and chairs. Modern fully fitted units with ceramic hob, integrated electric oven and grill, microwave, and large free-standing fridge/freezer. Modern bathroom with toilet, wash-hand basin, bath, large corner shower and heated towel rail. Small private outdoor patio area and full use of the putting green and gardens. Ground floor, easy access. Free WiFi. Electric Cooker - ceramic hob, integrated grill and oven. Fridge/Freezer. Microwave. Hairdryer. Gas Central Heating throughout. Iron &ironing facilities. All Bed Linen &Towels provided. Staples such as tea, coffee, sugar, salt, pepper, olive oil, and basic spices are included. Private parking. Complimentary toiletries. Callander has 2 small supermarkets, numerous bakers, a butcher, laundrette and many other local shops, cafes, pubs and restaurants. There is a bank with cash dispensers and a petrol station. Special Requirements: The apartment is for a maximum of 2 adults - sorry, no children, extra guests or pets. There is no smoking allowed inside the property. Minimum stay of 3 nights and discounts for stays of 5 nights or longer. To view availability or to make a reservation please use our online booking facility.